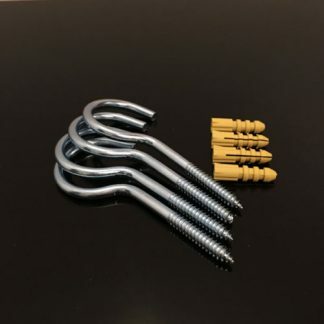 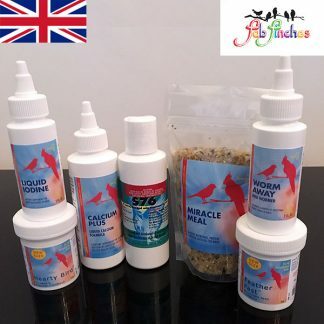 It’s a simple but highly effective feeding system! 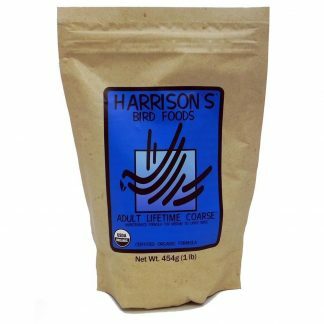 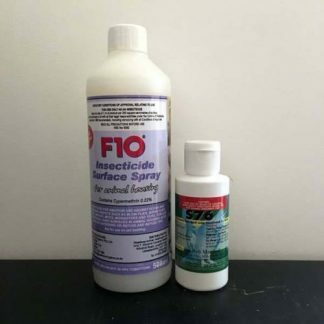 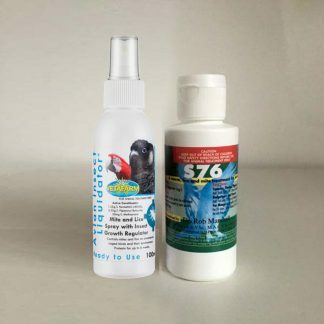 Dr Rob Marshall`s Products last longer, has better results in the birds and more cost effective. 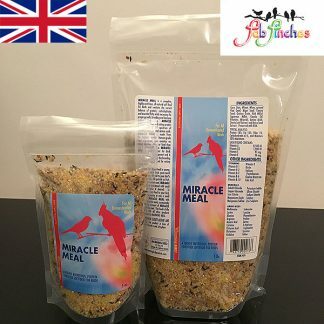 to energize feeding parents and to protect young birds from stress. 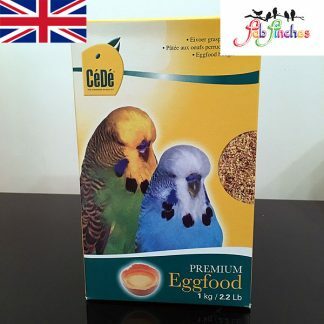 The rate of growth of the chick is determined by the energy content of the food, its genetic make-up and the ability of parents to feed it to its full capacity. 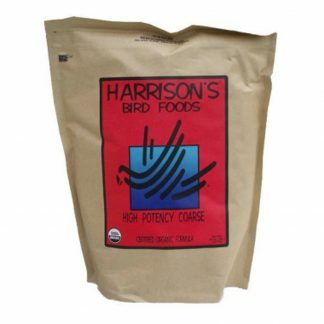 The full potential for growth is achieved when the feeding parents are protected from fatigue and the energy fed to the chicks is processed as quickly as possible. 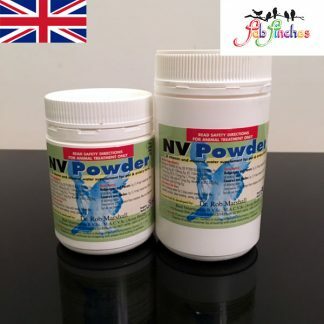 ePowder accelerates the conversion of energy into growth and prevents fatigue in the feeding parents. 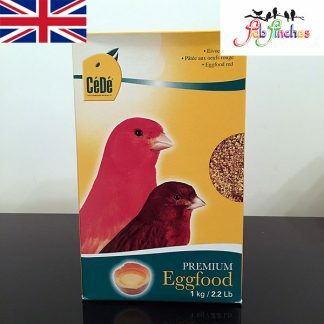 The result is a parent that feeds more, a chick that grows faster and a show bird that fulfills its genetic potential. 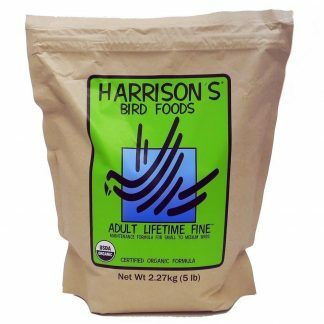 Excellent source of Thiamin and B vitamins. 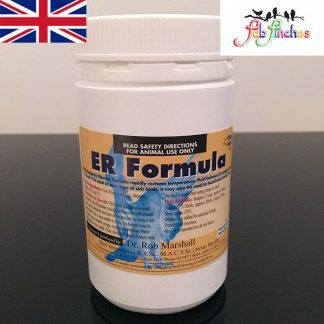 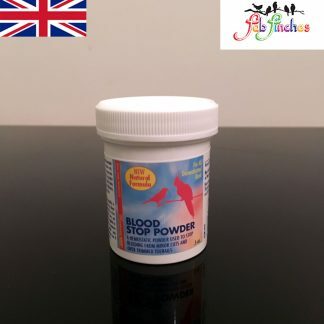 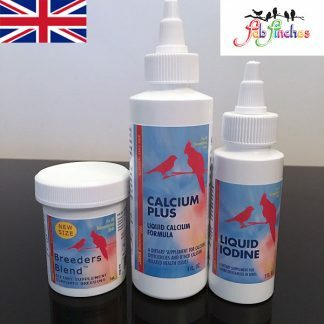 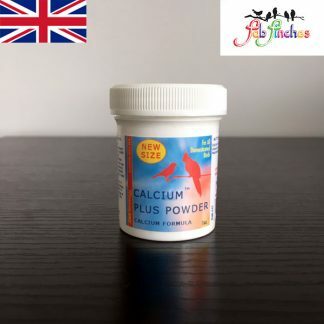 ePowder is recommended for all breeding birds on a daily basis. 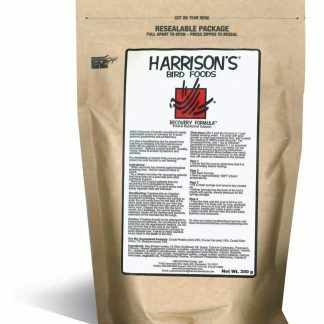 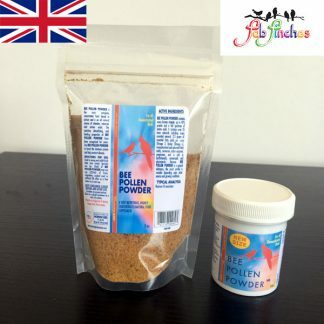 ePowder contains the by-products of cultured yeast and can be mixed into seed, soft food pr sprouted seed or kept on its own in small finger drawers. 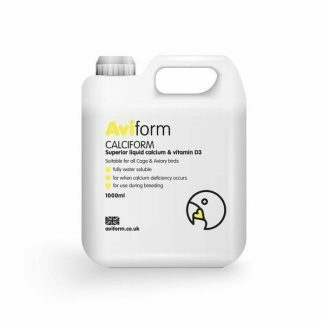 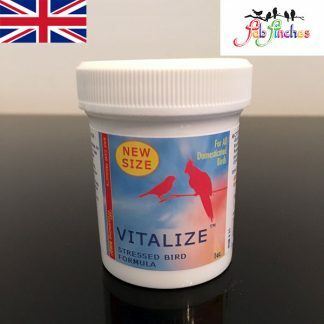 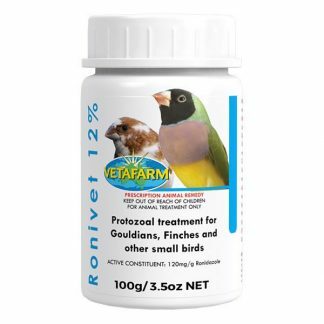 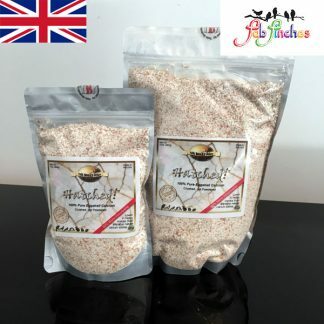 F-Vite is a combination grit, protein, energy, vitamin and mineral supplement, which is especially beneficial for breeding and young moulting birds, but is used all year round. 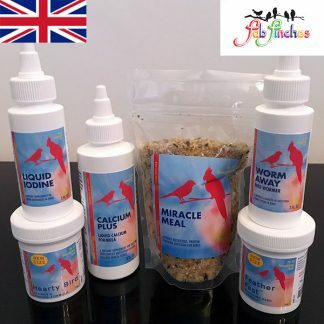 Parents actually look for it when feeding young, because it is rich in the trace elements so vital for growing babies. 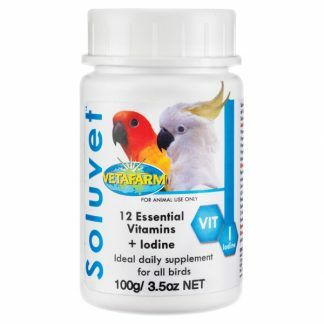 Babies fed by parents, which are given F-Vite grow quickly, are robust and pink. 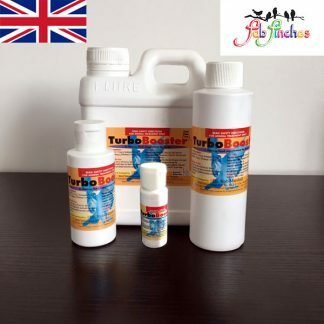 TurboBooster is designed to replace soft food and soaked seed as a source of energy and protein for the feeding parents. 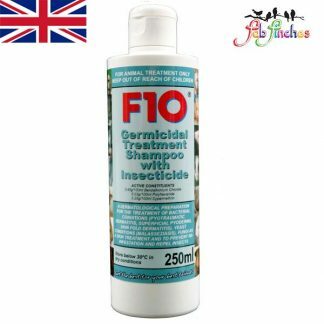 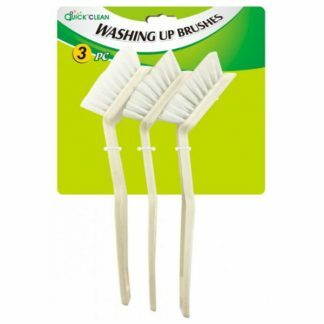 It provides every benefit of soaked-seed but none of the potential dangers, because it is a sterile product. 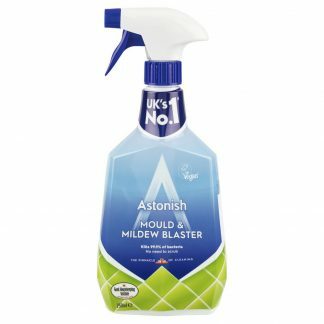 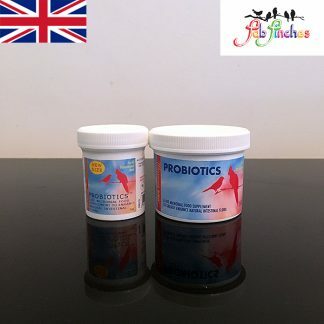 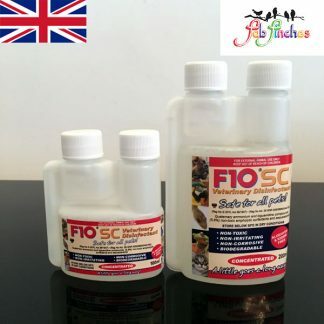 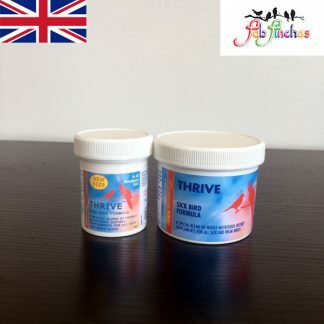 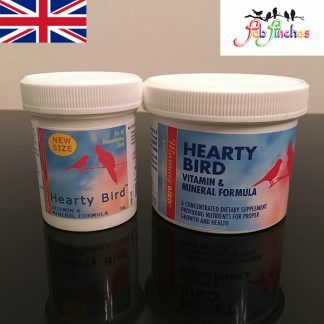 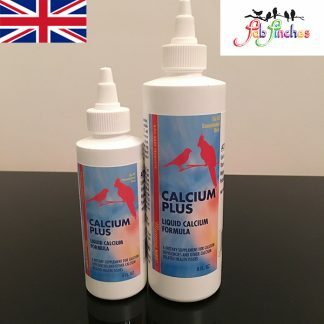 TurboBooster is a concentrated form of energy, coupled with stress relieving vitamin B and the oil based breeding vitamins A, D, E and K.
This multi-purpose energy rich oil is best added to soaked multi-grained bread for the aviary birds or into a freshly made soft food mix for breeding pairs. 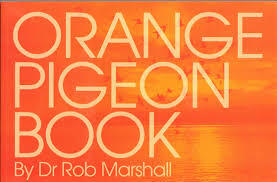 It is soon relished by the birds. 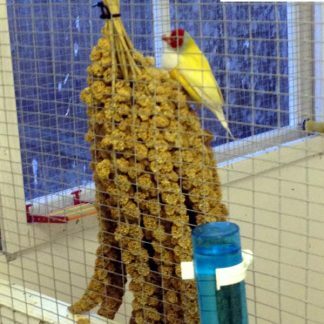 They often climb the wire in anticipation of the treat as the garlic cocktail is being prepared. 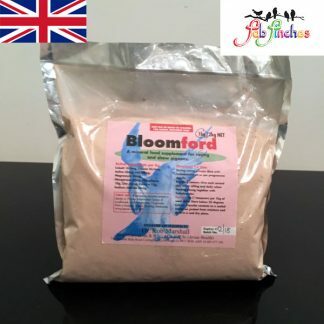 E Powder is added to the mix for greater energy efficiency and many fanciers add the DufoPlus, Ioford and F Vite at the same time, giving remarkable results. 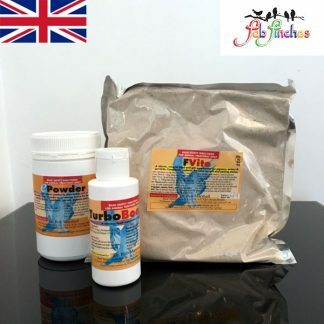 TurboBooster can be coated onto a dry seed mix for birds not eating a soft food mixture and then sprinkled with the ePower and F-Vite. 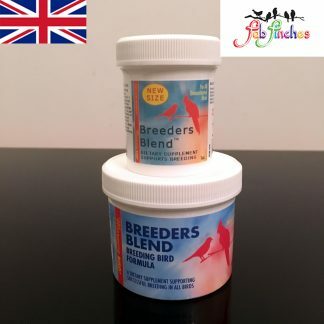 ePowder mixed into Turbo-booster impregnated seed to accelerate the growth of chicks by improving their energy conversion and protecting laying hens and the feeding parents from fatigue. 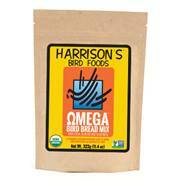 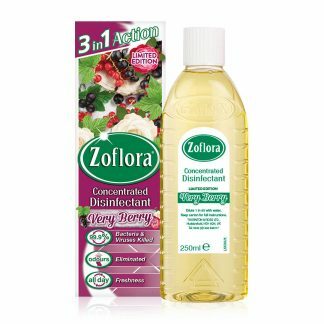 Mix ¼ teaspoon of e-powder to each 200 grams of oiled seed, soaked seed or soft food fed daily. 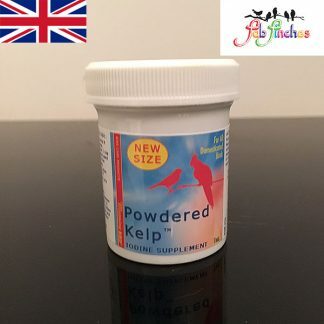 Or fill the finger drawer with ePowder. 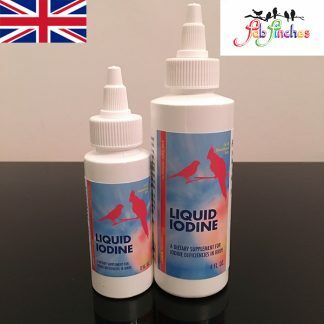 Refresh daily when the parents are feeding young. 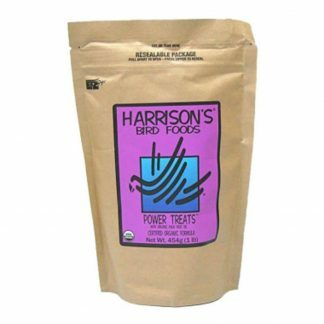 Give ePowder in the Turbo-booster impregnated seed, soaked seed or soft food mix for each day for birds with a negative energy balance. 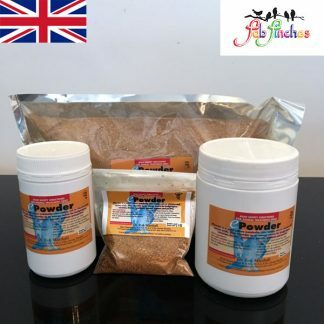 ePowder stimulates the appetite of weanlings and ill birds. 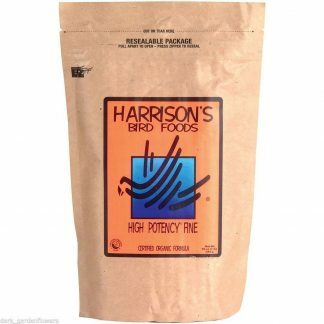 The energy imbalance is quickly reversed. 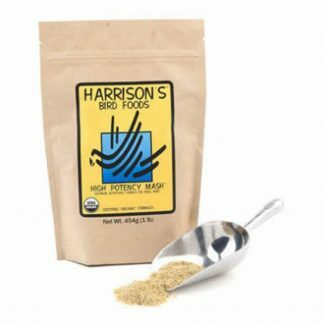 Mix ¼ teaspoon of e-powder into each 200 grams of seed, soft food or soaked seed. 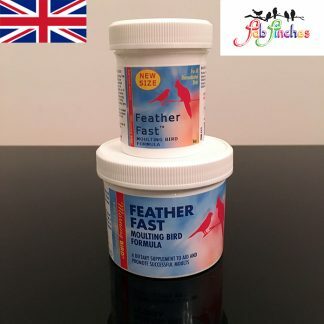 Give e-powder in the Turbo-booster impregnated seed, soaked seed or soft food mix for one day twice weekly to protect the young birds from the stress of overcrowding. 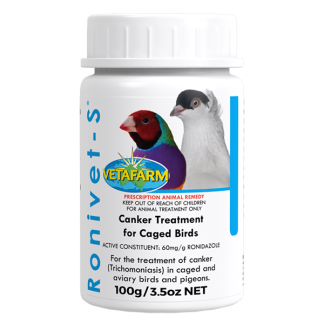 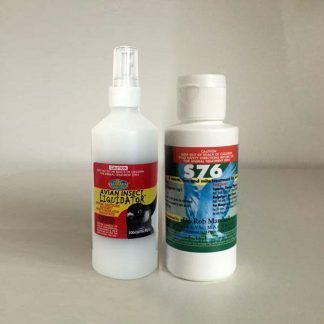 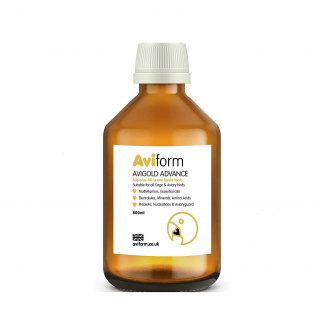 ePowder is especially useful in aviaries with enteritis caused by bacteria, Megabacteria, Coccidiosis or Worms. 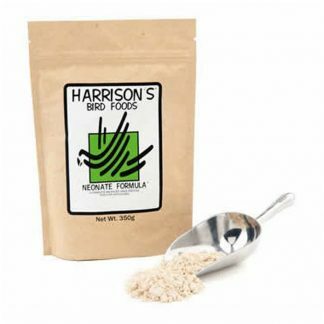 Mix ¼ teaspoon into 200g of soft food or soaked seed. 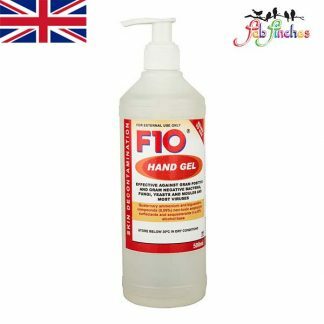 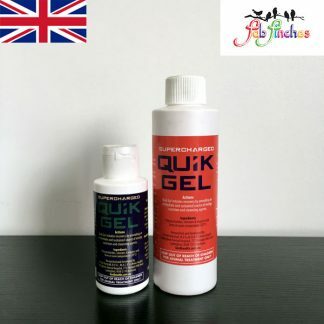 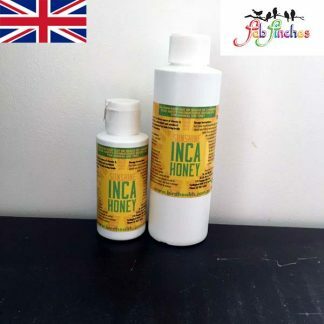 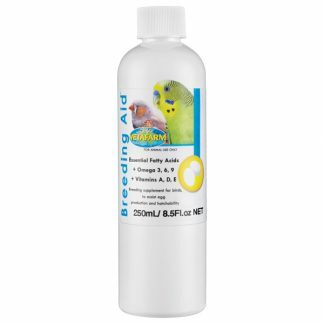 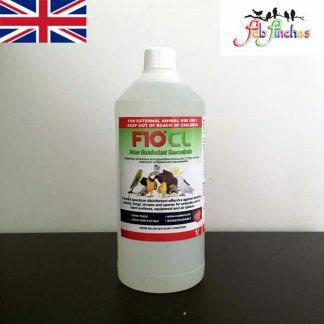 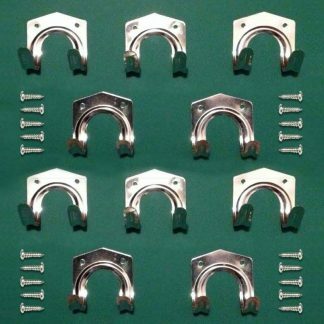 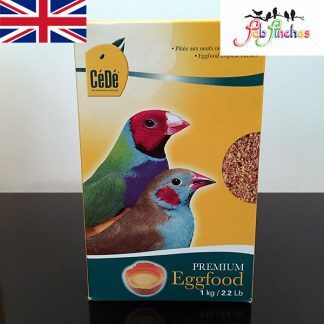 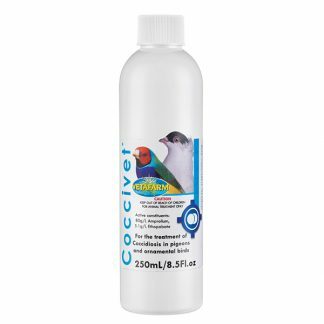 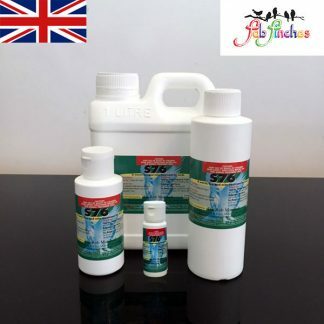 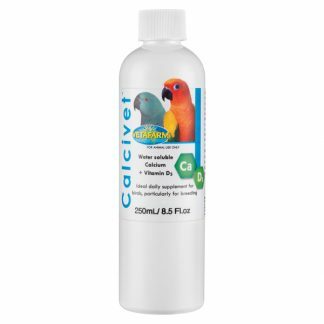 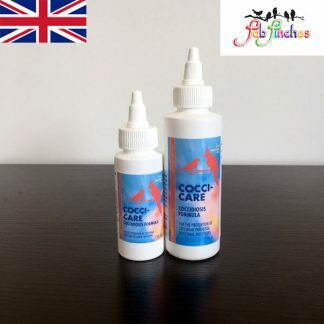 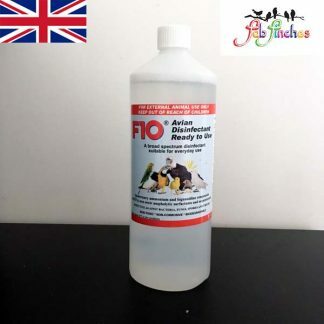 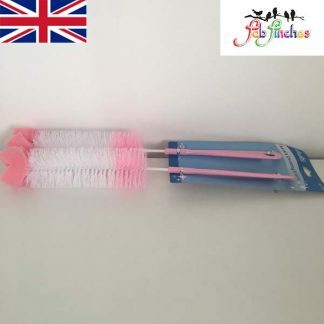 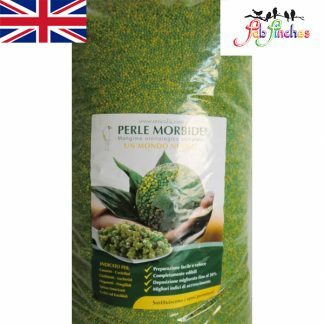 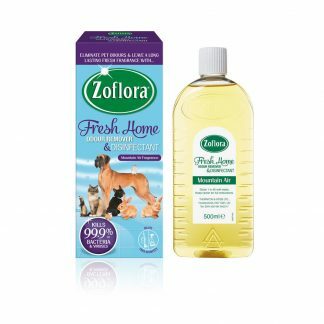 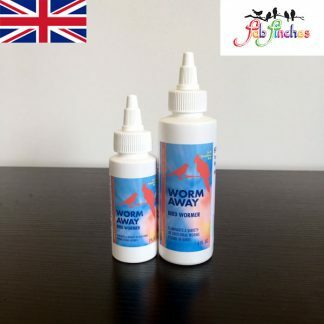 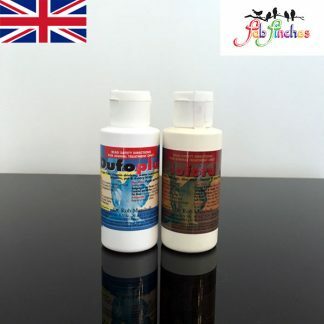 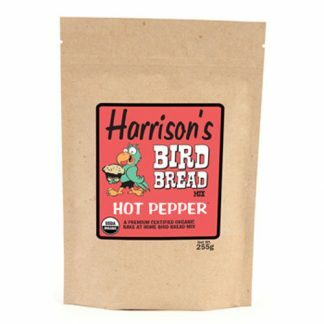 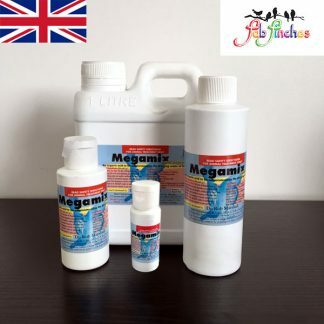 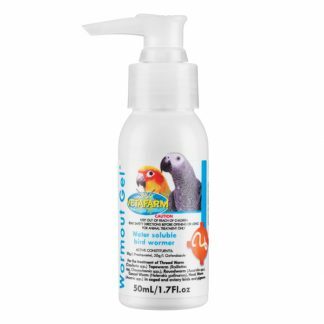 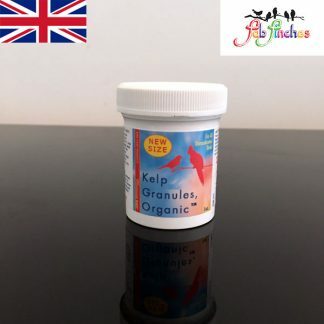 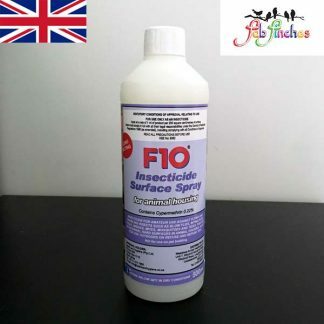 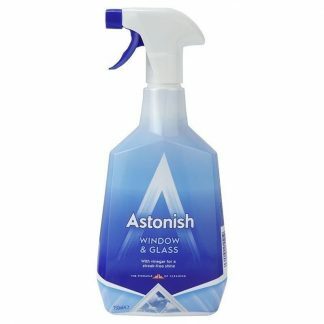 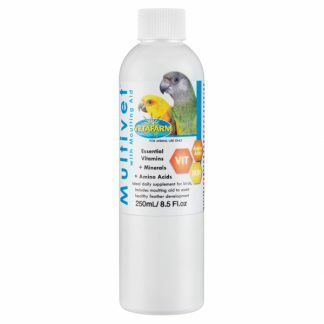 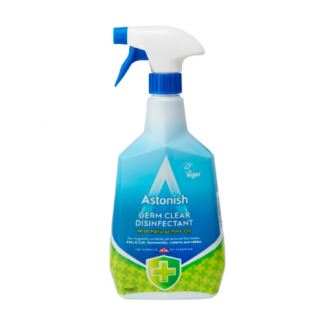 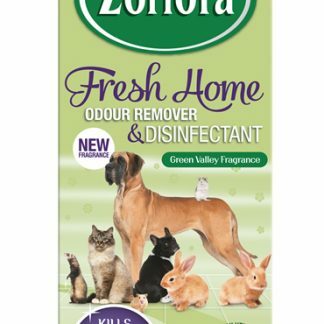 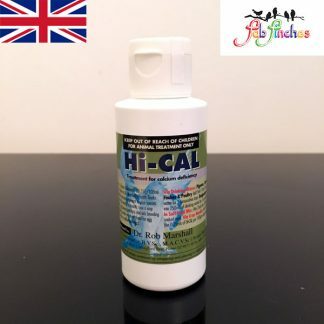 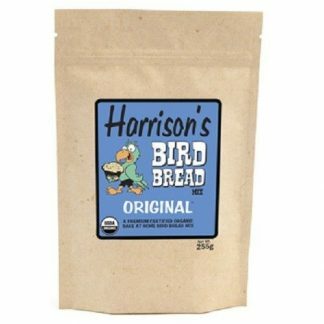 Suitable for All Birds: Budgies, Canaries, Gouldians, Finches, All Aviary Birds, Parrots, Pigeons & Poultry. 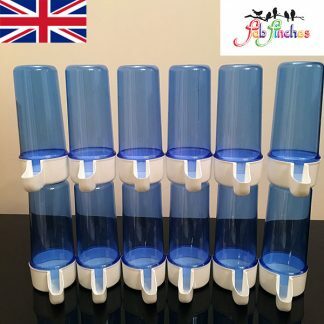 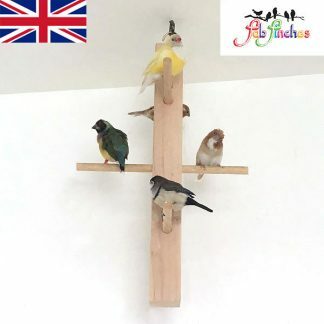 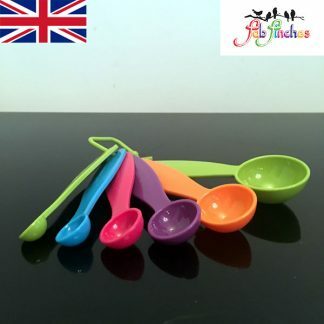 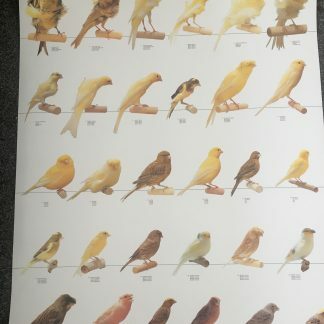 all happy & healthy, babies and adults, so this = Happy Bird Owner – THUMBS UP FAB FINCHES!